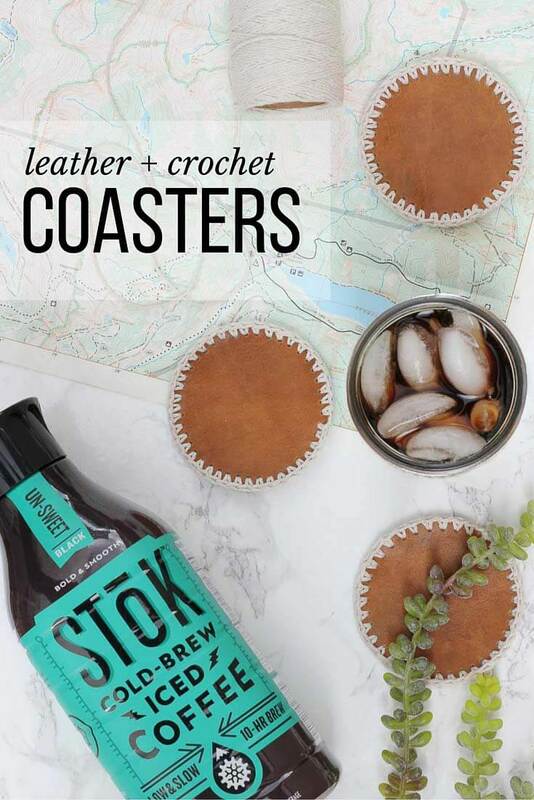 These simple DIY leather + crochet coasters are part of a #SToKCoffee #shop hosted by the social shopper media company #CollectiveBias . All ideas, opinions and coffee spills are my own. 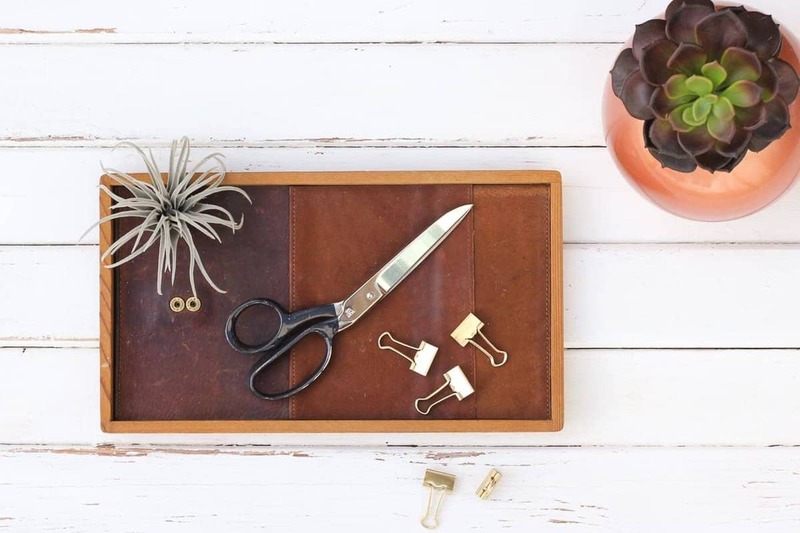 This simple crochet gift can be made in less than an hour and is a perfect DIY gift for him. 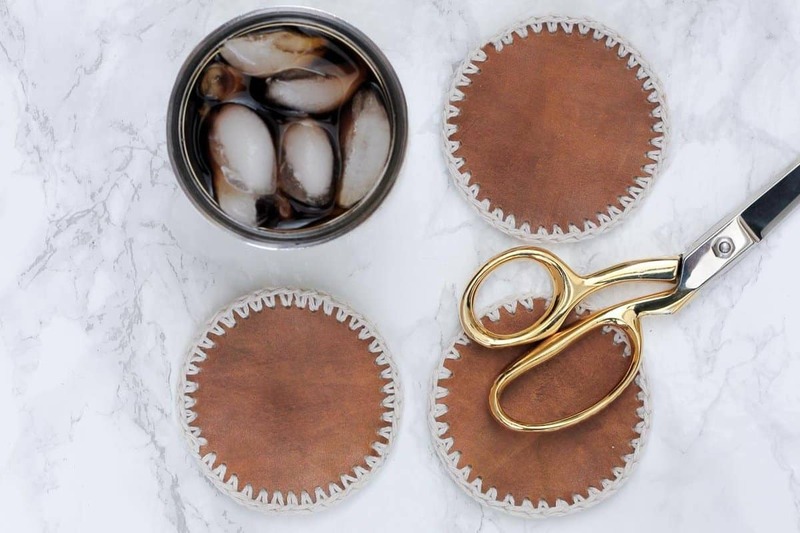 Make these coasters for Father’s Day, Christmas or just for yourself! I’m an external processor. Something happens to me and I need to chew it over verbally with another set of ears until it all makes sense. My husband, Mike, though, that man is a ruminator. When he needs to untangle something in his mind, he’d prefer to go off to the mountains with a copy of “Walden” and hike so high that not another living thing surrounds him. Perhaps it goes without saying that our current life with two small kiddos doesn’t allow him this indulgence very often. 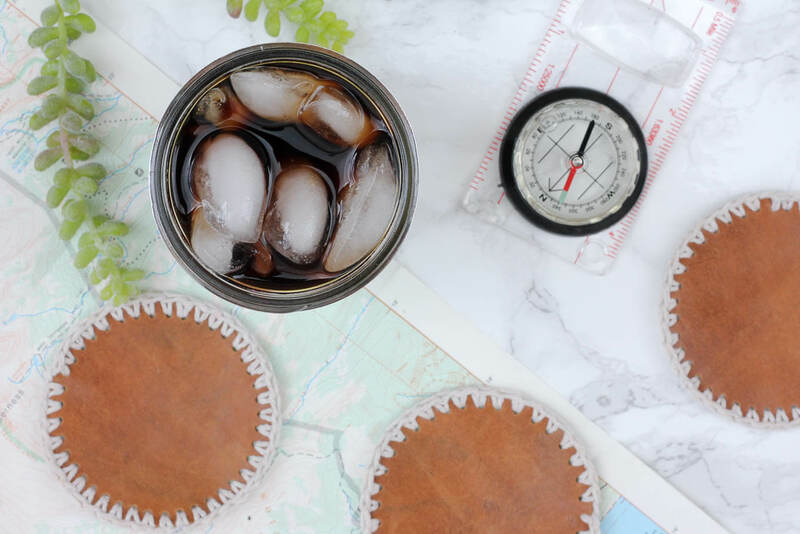 So this Father’s Day, I thought I’d put together a little gift for him that lets him to escape to be alone with his thoughts and ideas, even if it’s just for a few minutes in his office planning his next alpine adventure. 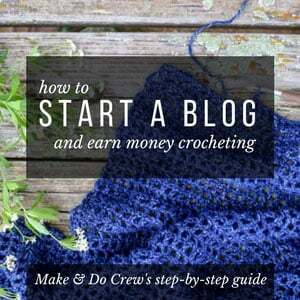 Plus, guess what the crochet edging is made of?! 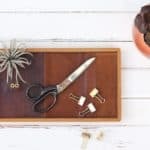 Hardware store twine! 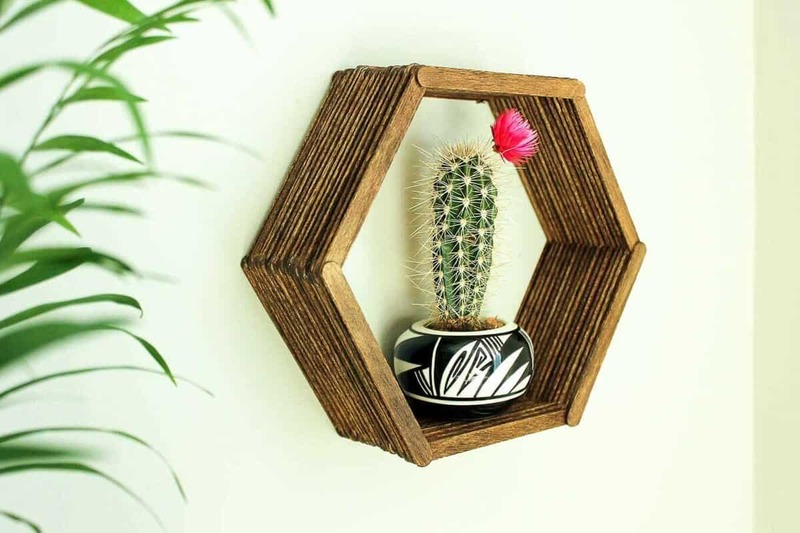 This truly is the perfect DIY gift idea for the masculine, yet domesticated man. Ha. 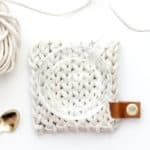 Notes: When single crocheting around the coaster, be sure to pull the loop that’s on your hook far enough out that there’s enough slack to reach the next hole easily. 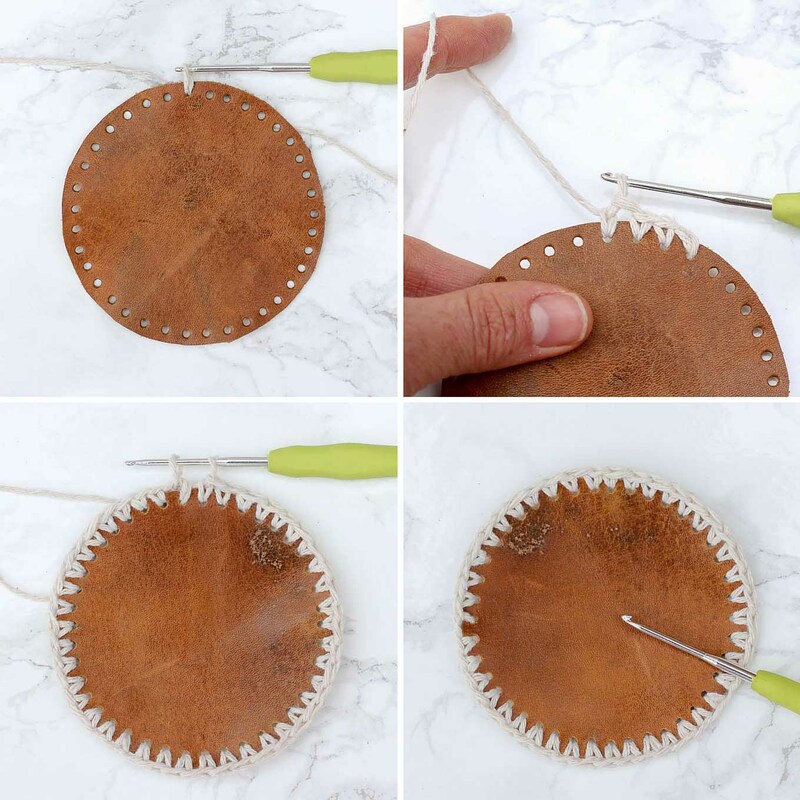 We’re using a small crochet hook in order to fit in the leather holes, so you need to compensate a bit by making your loops bigger. Otherwise, your coaster will warp because the sc will be too tight. 1. 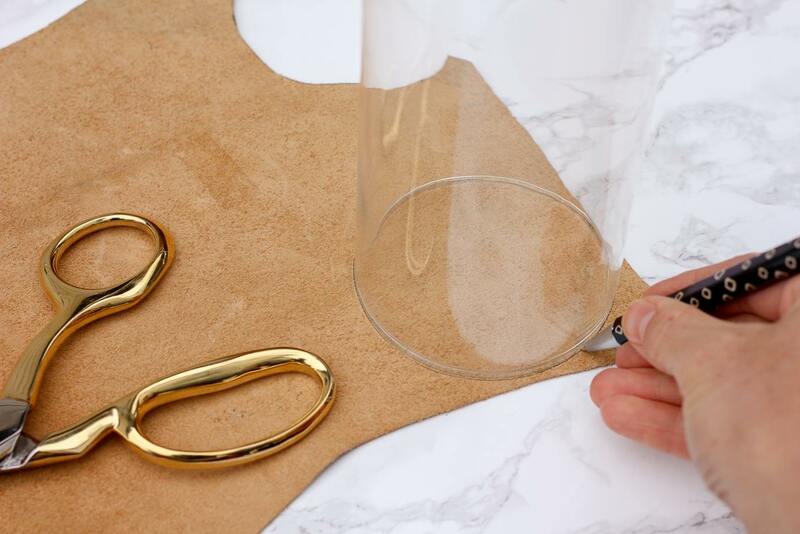 Using the larger glass and pen, trace four circles onto the back of your leather. 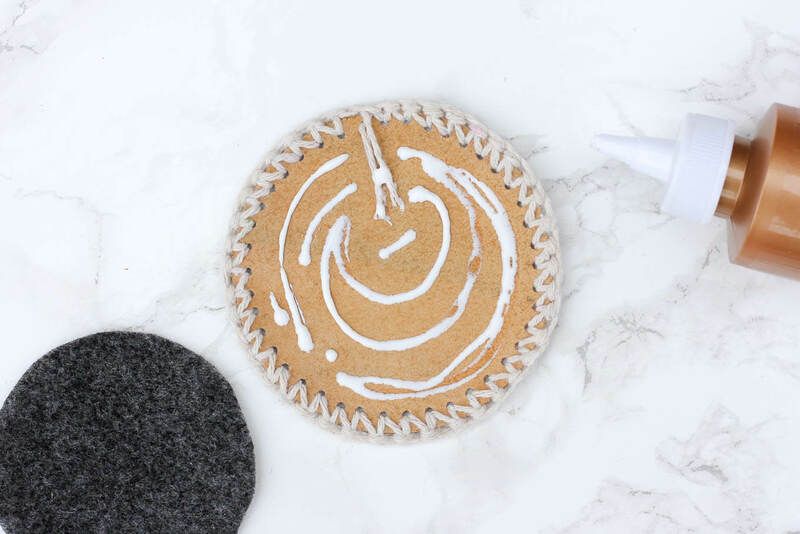 With the smaller glass, trace four circles onto the felt. 3. 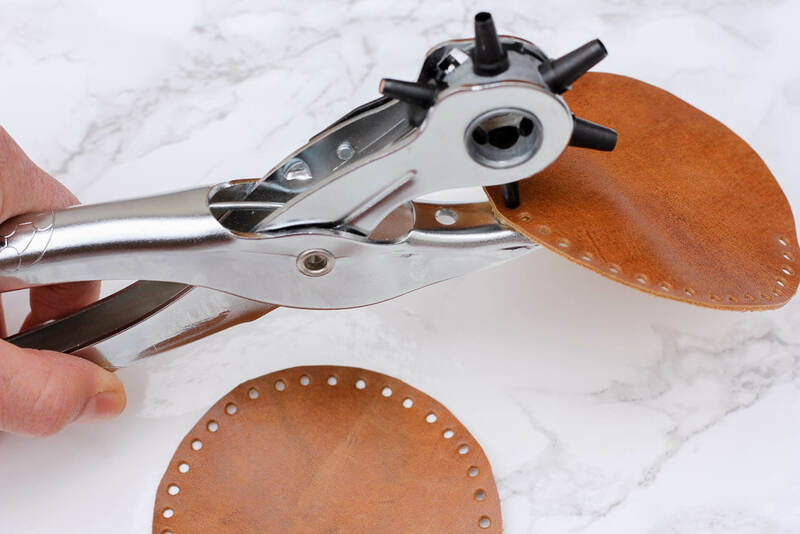 Using the smallest, or near the smallest, setting on your leather punch, punch holes around the circumference of the leather about ¼ “ apart. 4. 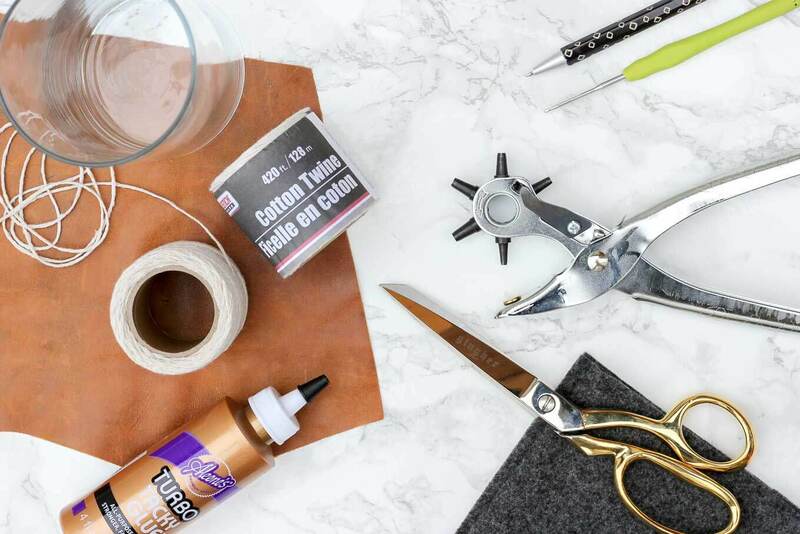 If you want to spray your leather with waterproofer, do this now. Let it dry per the instructions on the product. 5. 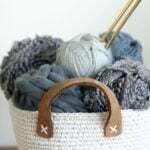 To crochet the edging: Insert your crochet hook from the right (non suede) side to the back and pick up the twine, leaving a 2” tail in the back. ch 1 to attach the twine to the leather. 6. Insert your hook in the hole to the left and work it like a sc. Cont in sc around the circle. 7. After you’ve completed the last hole, insert your hook under the top of the first sc, sl st to connect the first and last stitches. Trim your twine. 8. 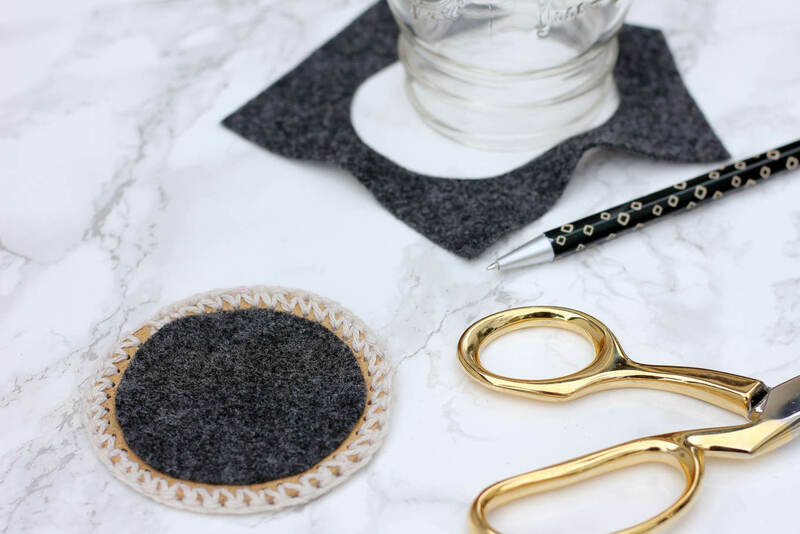 Glue the felt backing to the suede side of the coaster, making sure to tuck the two tails of twine securely under the felt. 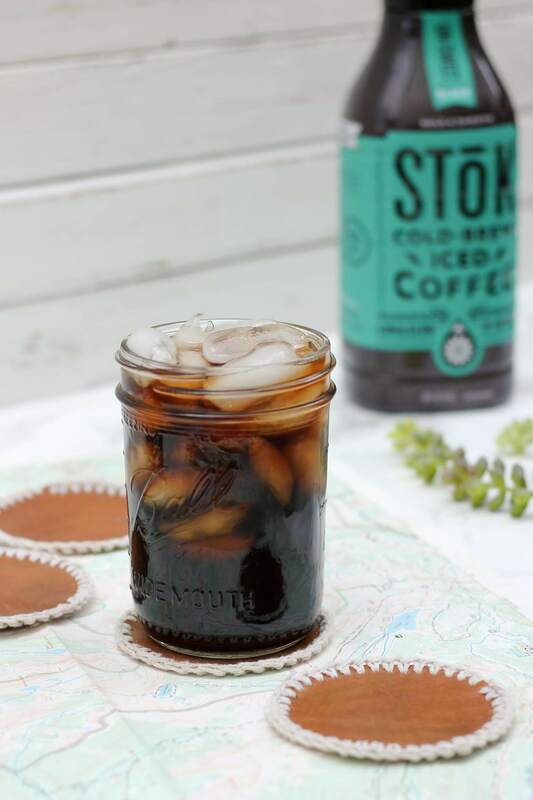 If your man is in the market for a little lightening in a bottle to go with his rugged, yet refined coaster set, you can grab some SToK iced coffee at Walmart. 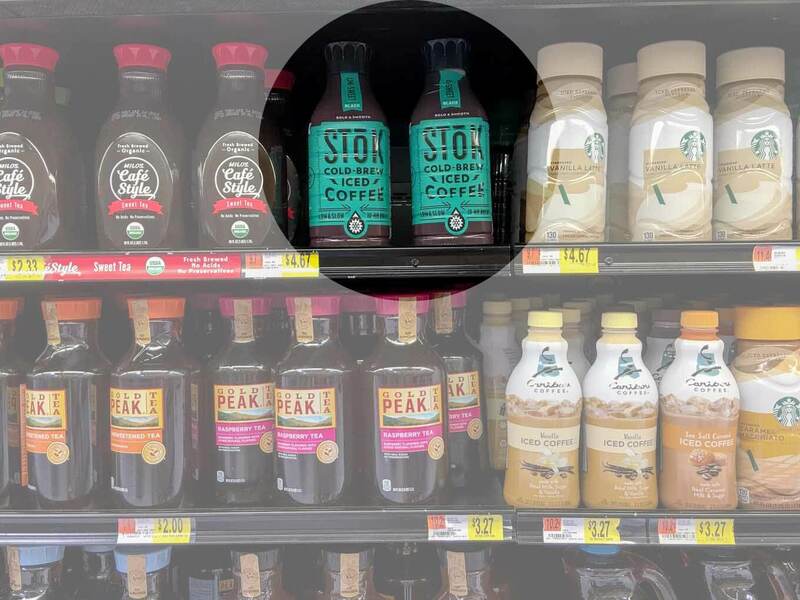 It’s in the refrigerated section. 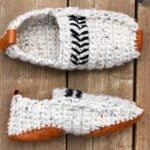 This is super cute and looks easy enough to do even with my limited crochet abilities. I agree, the watermarks from the beverages will make this look really neat and vintage like. So creative!